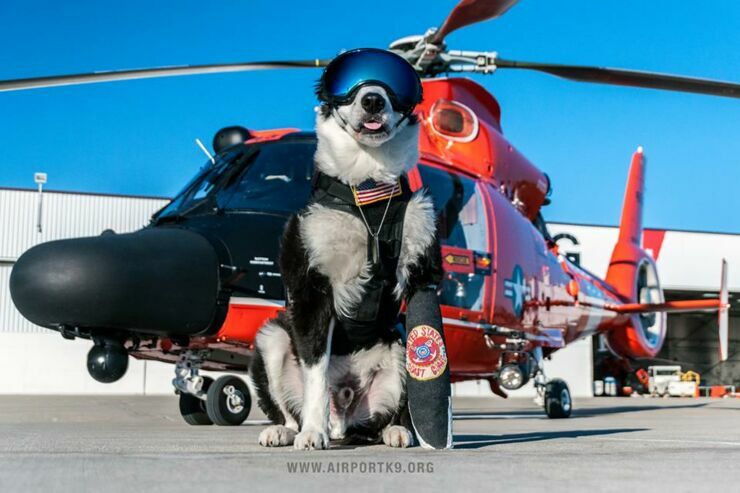 K-9 Piper is a border collie with a very important job. 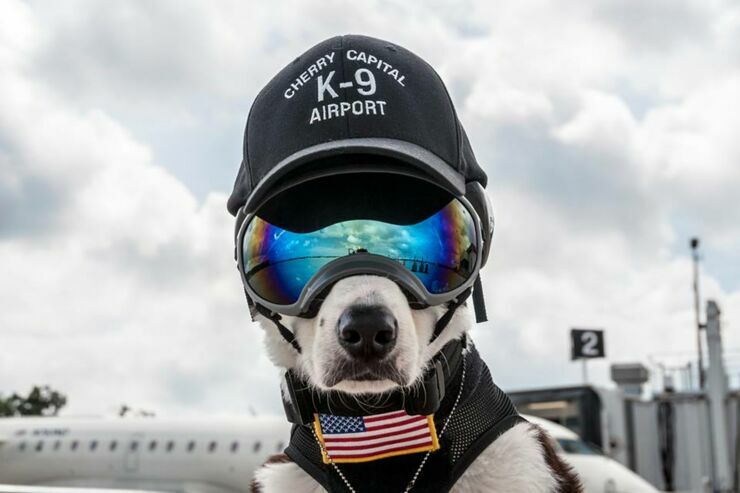 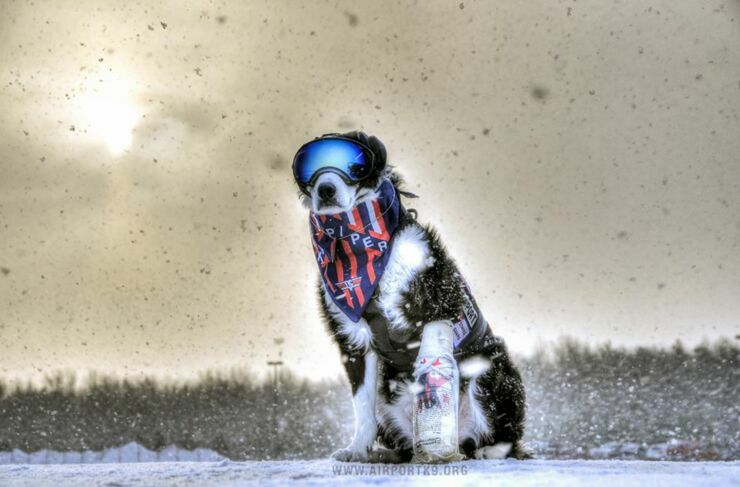 He has been tasked with chasing away birds at Cherry Capital Airport in Michigan. 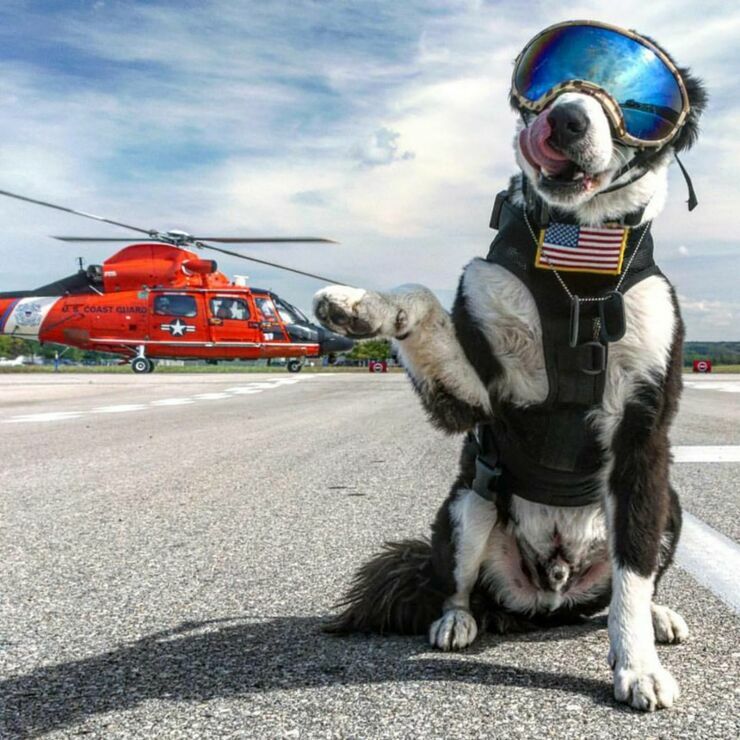 The birds can cause a lot of trouble for pilots trying to land planes and Piper has to make sure they don't get in the way and pose a threat. 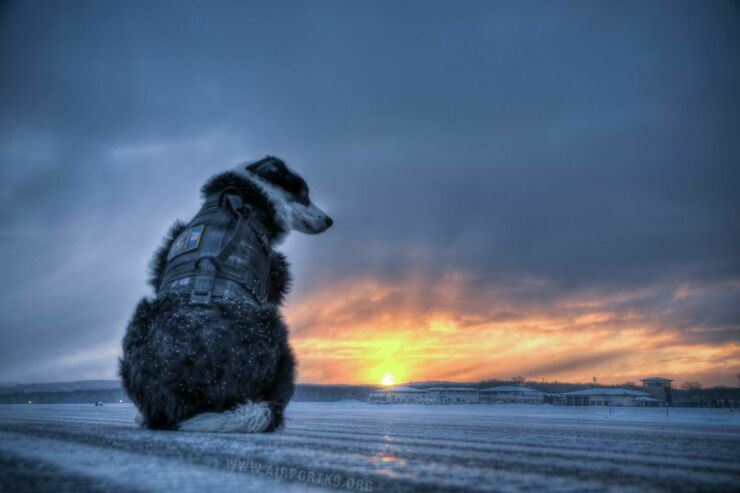 K-9 Piper, whose official title is wildlife control canine, spends fours days a week at the airport. 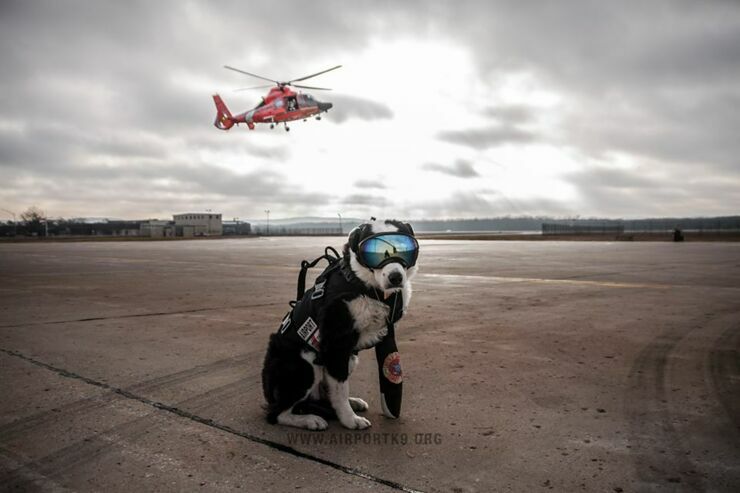 Not only does he do an essential job, he looks super cool while doing it. 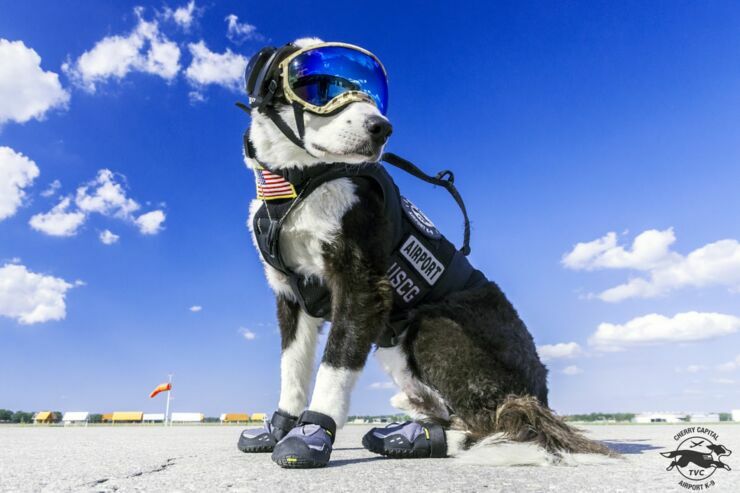 Because he wears a reflective ski mask to protect his eyes from the wind and little boots so his paws don't burn from the tarmac heating up. 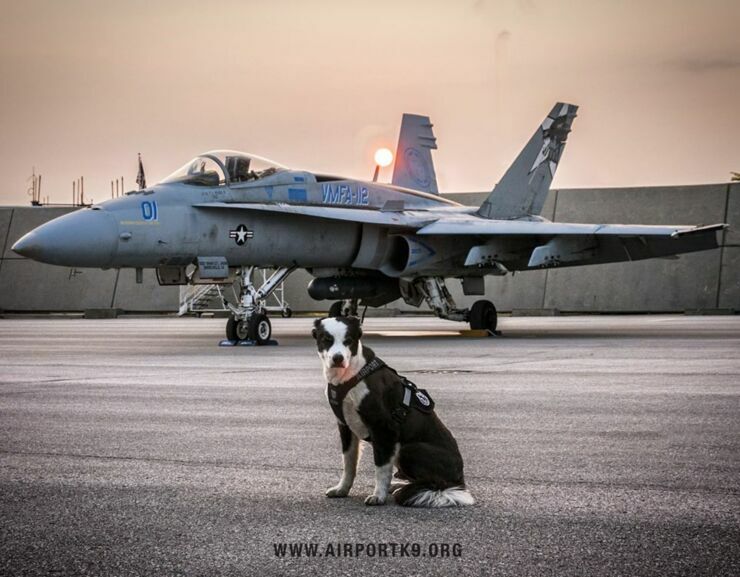 "The Federal Aviation Administration requires the Cherry Capital Airport have a Wildlife Hazard Management Plan in place to mitigate wildlife hazards to aviation. 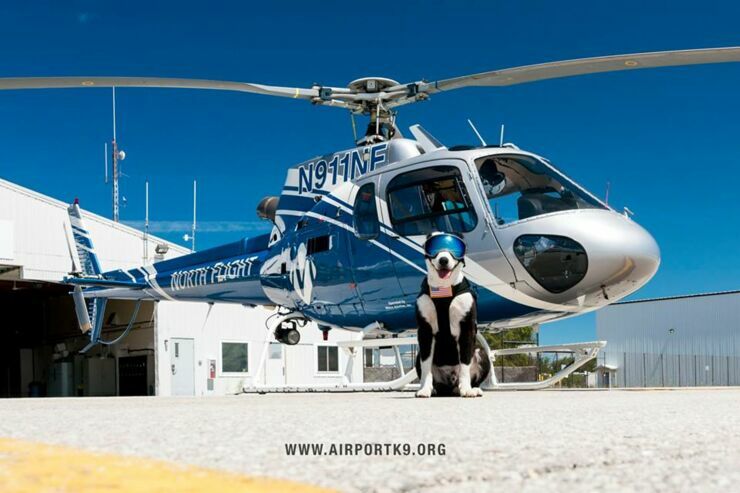 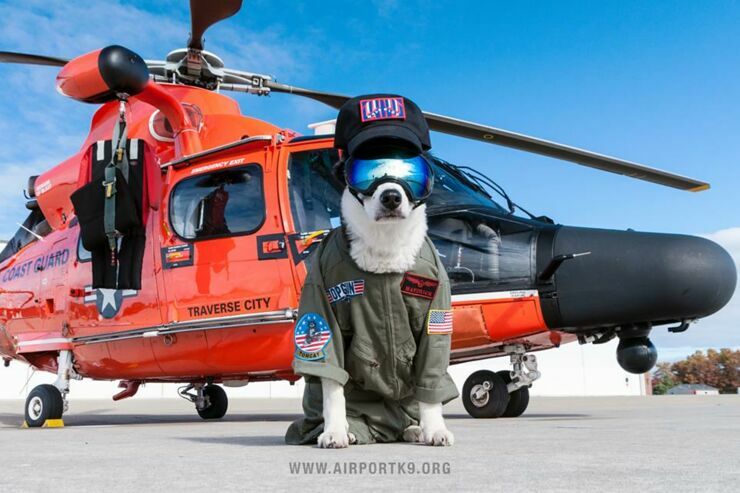 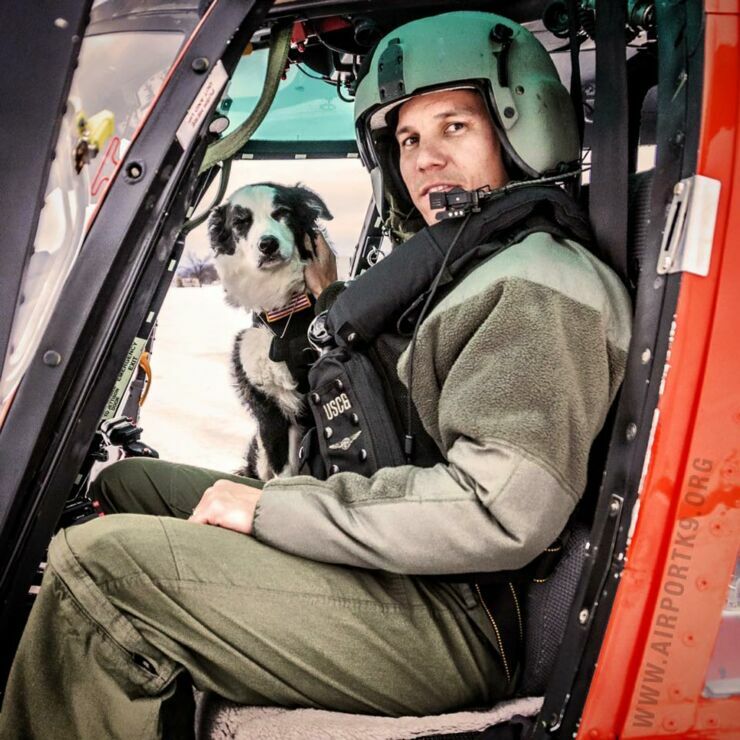 K-9 Piper is a proactive approach to wildlife management and aviation safety." 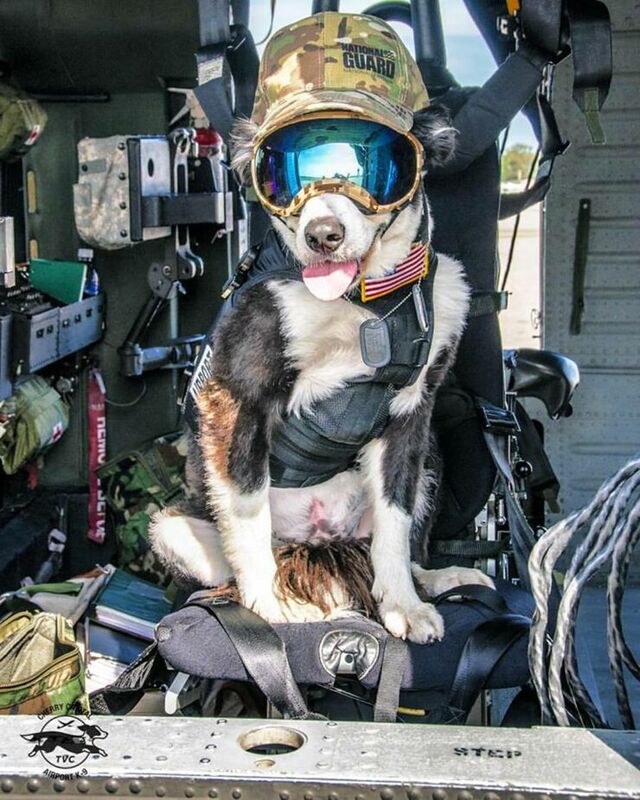 says Piper's website. 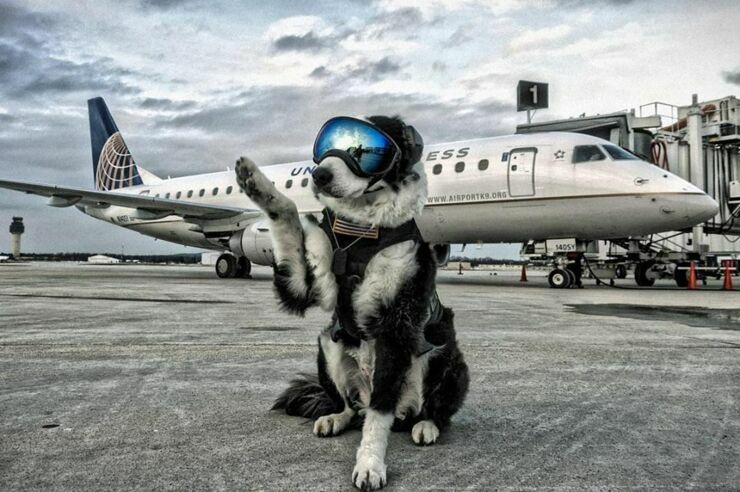 "Though rare, dogs are one of the most effective methods of wildlife mitigation at airports. 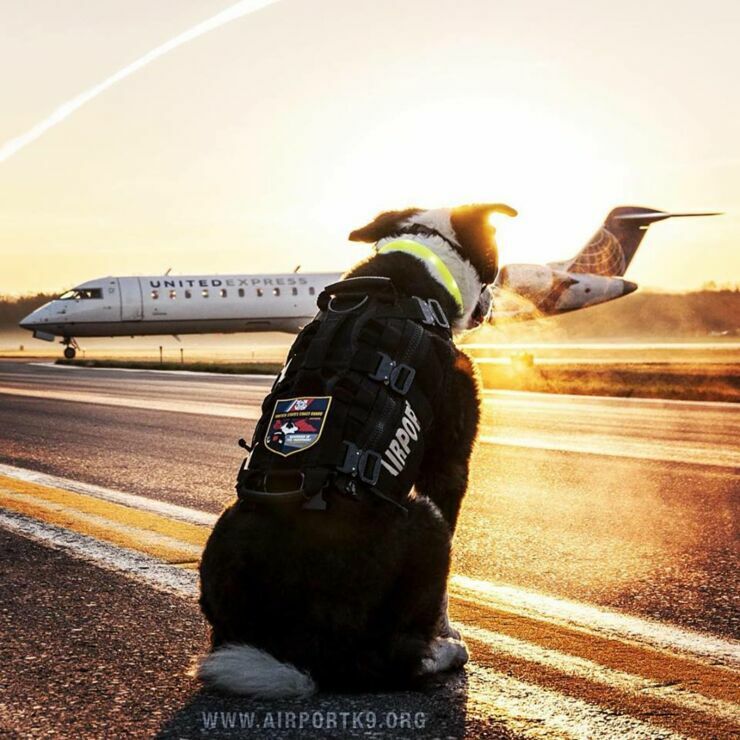 K-9 Piper is the only Wildlife Control K-9 on staff at an airport in Michigan and, we believe, one of less than ten in the United States." 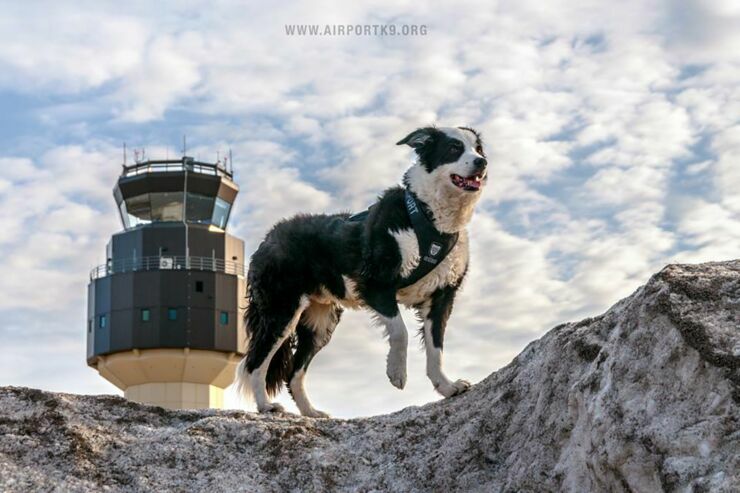 He also patrols the airport looking for rodents and small mammals and because border collies are natural herders Piper is perfect for the job. 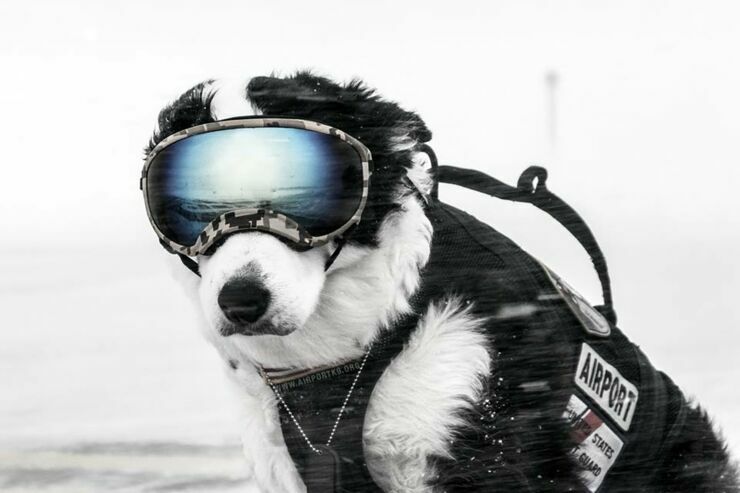 The only thing he had to acclimatise to is the noise of aircraft, but he has special ear muffs that help protect his ears if planes are landing near him. 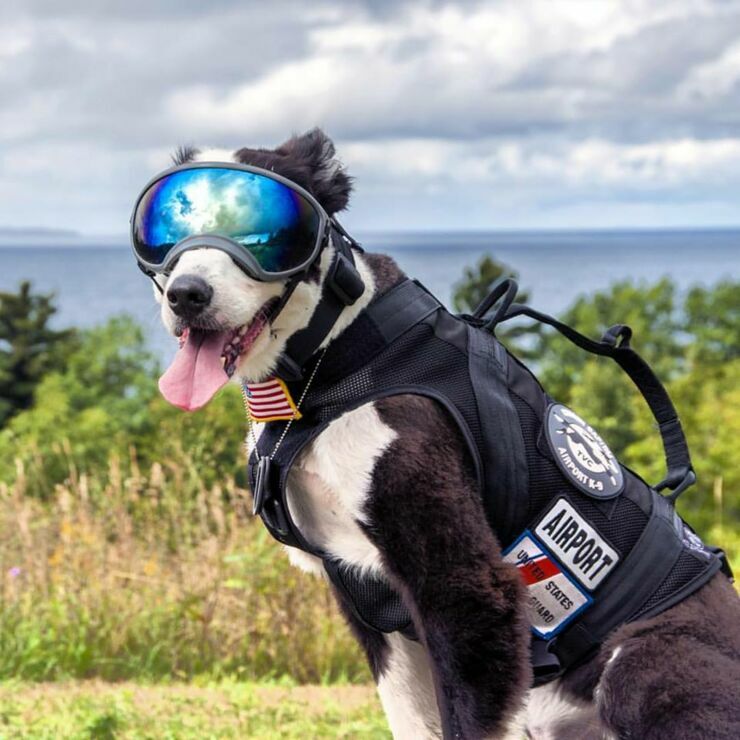 Check out some photos of K-9 Piper looking badass below.